You can find answers to frequently asked questions about our In-sessional English Language courses below. Are the In-sessional courses compulsory for EU and international students? In-sessional courses are optional, unless they have been added to your timetable by your school. If you have any questions about the courses on your timetable, please contact your School Administrator(s). 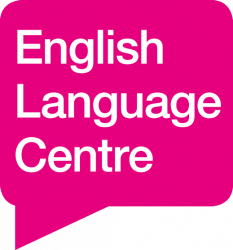 How will the optional English Language Centre In-sessional courses help me? Improving your English will help you improve your grades on your main course. It’s also a great way to meet EU and international students at the University of Lincoln and make new friends. Where can I find out about which courses are running, and what I will learn? Visit the In-sessional courses page of our website. The room number for the class is provided when you register. You can also check our course timetable (provided on our website). We try to hold most classes in the English Language Teaching Room – MB1104 (on the first floor of the Minerva building), however sometimes we do need to use other rooms on campus, so check this before you set off for class. What should I bring with me when I go to class? You should bring your Student ID Card so the teacher can check your name on the register. You should also bring with you a pen and paper. Follow our step-by-step guide on the In-sessional courses page. Why do I need to take the LELA before I can join the courses? The Lincoln English Language Assessment (LELA) is a compulsory part of the registration process. To find out more about the LELA, visit the LELA page. Which level of course should I register for– Intermediate, Upper intermediate or Advanced? Please refer to your Individual Learning Plan (ILP) to see which level of course you such register for. (Your ILP is attached to your LELA Results email). Students are grouped into classes according to their current level of English so that they can study with students at the same level. If you have not yet taken the LELA, visit the LELA page to find out what to do next. Why has the registration process changed? If you have a question that is not answered here please email englishlanguage@lincoln.ac.uk and we will help you.